Join Fr. 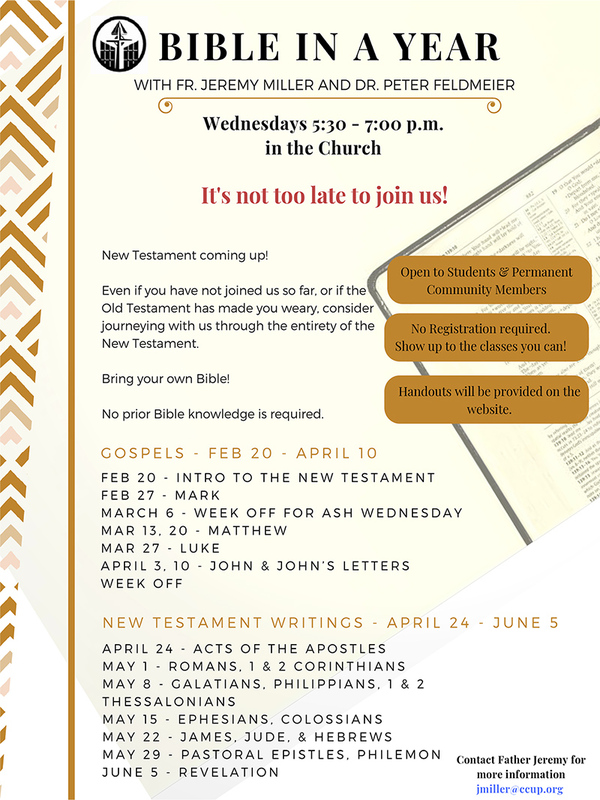 Jeremy Miller and Dr. Peter Feldmeier for an exploration of every book in the Bible on Wednesday nights at Corpus Christi. These sessions, held Wednesdays from 5:30 to 7 p.m. in the Church are open to students and permanent community members. No registration is required, show up to classes when you can. There will be no sessions on Feb. 13, March 6 and April 17. Find all of the handouts in our special Google Drive folder. Contact Father Jeremy for more information.